Quantum physics has made known to the microscopic foundations of reality and the new art describes a multidisciplinary dialogue between science, art and society, for a 360 ° view of the world: what surrounds us is not only what we see, but it is very more. The Quantum Group of Art was founded in 2010 by Roberto Denti to reconcile science and art and aims at overcoming the mechanistic system for a new renaissance and a new society founded on Man New. Its members are scientists and artists of all disciplines: painting, sculpture, photography, movies, poetry, writing, dance, music, artists are Italian, European, Russian, American, Brazilian, Argentine, Australian, Chinese. Each artist has his own style, his way of seeing and experiencing art in strong connection with the contradictions of the society in which he lives. Each artist is free to express themselves as they see fit, using the techniques most suitable for him, to represent his thought, his mood, his convictions, and all that he desires in respect for the other person. 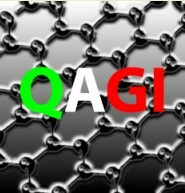 Even in a time of crisis like this, we at QAGI, we believe in international cooperation and the possibilities that art and science can be used to build something new from every point of view: scientific, cultural and social. The basic themes of Art Quantum evoke strong concepts such as cultural change aimed as a relationship between art and science to promote critical thinking, understanding of the complexity of the natural balance, social and economic factors that generate the diversification of the living system and society. This cultural change it means innovate through art quantum and quantum science, the research model and social development, in order to overcome the old form of society based on the conception that individuals have, between them, relations of strength and not cooperation. • From the artistic interpretation of science, quantum physics, quantum biology, medicine, quantum astrophysics, astronomy, studies on the brain and mind and everything that you specify and will define by the adjective quantum, entanglement, photon and the terms that are derived and will derive from quantum science. • From fundamental concepts of quantum space-time, be it real and / or virtual, internal or external to the living beings. 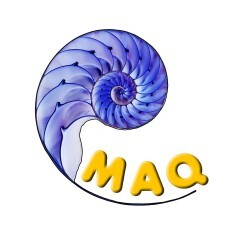 MAQ is a contemporary and international art movement to spread, through art and quantum science, a co-operation speech at world level, to create the preconditions for a vision of the innovative world, where each one, with its own characteristics and peculiarities, it becomes part of a parity collaboration. They are part of MAQ artists from around the world and scientists for the search for a creativity tense to an articulate evolution, aimed at seeking new models of life, new social relationships in full respect of biodiversity as a whole. 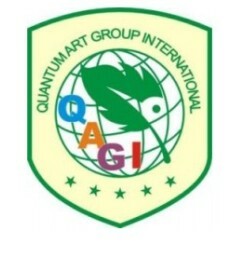 Roberto Denti published the Manifesto of Quantum Art in 2008, in 2010 he founded QAGI Quantum Art Group Italy, which became International in 2011, in conjunction with the “Italian Innovators Prize”, conferred by the Presidency of the Council of Ministers as an Italian innovation in the field of art and communication. Science-Art Research Center of Australia by Professor Robert Pope. We have more than fifty exhibitions and events organized in prestigious locations in Milan, Venice, Rome, Ferrara, Pavia, Piacenza and China, Shanghai, Souzhou, TaiCan and conferences at the University of Pavia, Milan and Souzhou. For over a year, we have focused our attention on Russia, supported by Italiart. We exhibited in Moscow and St. Petersburg in 2016 and 2017. Recently MAQ attended the Moscow Biennale 2017 with seven artists, Italians, Russians and Chinese.